Two new junior group leaders have recently joined the Gene Center, Stefan Canzar and Lucas Jae. Stefan is interested in algorithmic computational biology and a QBM group leader. Before joining the Gene Center he was Research Assistant Professor at Toyota Technological Institute at Chicago. 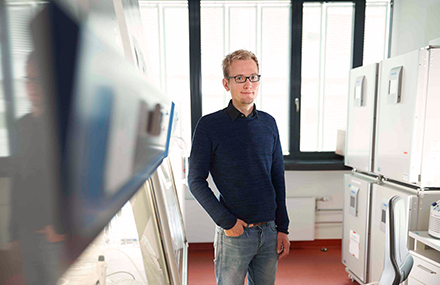 Lucas is setting up a functional genomics lab with a focus on loss-of-function genetic screens in near-haploid human cells. He moved to Munich from the Netherlands Cancer Institute in Amsterdam.